Flash Player 10(astro)의 베타버전이 공개된지 엊그제 같은데, 지난달 Adobe CS4출시와 곧 있을 Flex 3.2 출시로 Flash Player 10의 정식 출시가 초읽기로 다가왔습니다. Flash 10에서는 meta-policy의 기본값이 all에서 master-only로 바뀝니다. 이 설정은 해당 swf파일이 존재하는 도메인 루트의 crossdomain.xml을 읽어옵니다. 그러나, meta-policy를 바꿔서 예전처럼 쓸수도 있습니다. 액션스크립트에서 Socket, XMLSocket의 모든 securityError이벤트는 connect()메서드의 호출 이후 일정시간 경과후 발생하게 됩니다. 이것은 송출 이후 즉각적인 securityError가 더 늦게 발생하게 되며, 또한 더 일찍 연결에 성공하게되면 securityError 이벤트는 긴 딜레이가 발생하게 됩니다. 그래서, 20초의 소켓 타임아웃을 정해 두었습니다. 물론, 개발자들은 Socket.timeout과 XMLSocket.timeout를 통해서 이 시간을 조정할 수 있습니다. 3. 파일선택과 다운로드시 사용자의 직접적인 인터렉션을 필요로 합니다. Filerefrence.browse를 통해 사용자의 로컬의 파일을 찾는 창을 띄울수 있고, Filerefrence.download를 통해 파일을 내려 받을수 있습니다. 두 메서드의 경우 종전엔 사용자의 UI 인터렉션을 필요로 하지 않았습니다만, Flash 10에서는 사용자가 직접 UI인터렉션을 취해야 작동하게 됩니다. 4. 클립보드를 지정할시 사용자의 직접적인 인터렉션을 필요로 합니다. System.setClipboard를 통해 사용자의 클립보드에 텍스트를 지정할 수 있습니다. 종전엔 사용자의 직접적인 UI 인터렉션을 필요로 하지 않았습니다만, Flash 10에서는 사용자가 직접 UI인터렉션을 취해야 작동하게 됩니다. Flash 10에서는 SWF파일에서 사용자 로컬의 파일을 읽어오고 또 저장할 수 있습니다. 다만, 이 메서드들은 사용자가 파일 선택창에서 직접 파일이나 경로를 선택할때만 가능합니다. 근래의 플래시 플레이어에서는 풀스크린 모드에서는 입력이 허용되지 않았습니다. 하지만 Flash 10에서는 탭, 스페이스, 방향키의 사용이 허용됩니다. 플래시 플레이어와 플래시 미디어서버간의 통신에 UDP기반의 RTMFP를 지원합니다. 특히 제일 주목이 되는것은, UI인터렉션 후 클립보드 저장이나, 파일 창띄우기, 다운로드가 가능하다는 점인데, 현재 많은 개발자들이 쓰고있는 꼼수가 대부분 새로운 샌드박스의 영향으로 막히게 되어버립니다. flash의 setClipboard를 쓰는데, 대부분의 경우 UI는 HTML상에서 구현하고, JS로 Flash내부의 함수를 호출해 처리하는 방법이 있는데, 이 방법이 사용이 불가능해집니다. 역시 개발자에겐 야근은 기본 스펙이 되어버리는군요..
1. 토큰 수가 같은 도메인, 즉 점(. )으로 구분되어 있는 단어의 갯수가 같은 경우. ex) abc.flashartwork.com 와 efg.flashartwork.com 는 성립함. 위의 두가지를 모두 만족하는 경우에만 데이터 로딩을 허용하도록 되어 있었다. 그래서 서로 다른 도메인 네임을 가진 서버에서는 loadVariable, loadVars, XMLSocket 등을 통하여 데이터를 불러오는 것이 불가능했었다. 플래시 7 플레이어가 발표되면서 몇가지 보안 규칙이 바뀌게 되었는데 그 중, 플래시 6의 크로스도메인에 대한 규칙이 없어지면서 다른 도메인의 데이터를 로딩하는 것이 좀 더 유용하게 바뀌었다. 일단, 완전히 다른 도메인 상에서도 데이터를 불러올 수 있는 것이 가능하게 되었다. 그리고 이러한 유용한 기능을 보안상의 문제 없이 사용하기 위하여 새로운 “크로스도메인 정책파일” 규칙이 생겼다. 크로스도메인 정책파일(cross-domain policy file)이란 크로스도메인을 통해 데이터를 로딩하는 경우에, 해당 서버의 데이터에 접근하는 것이 허용된 외부 도메인을 명시한 문서를 말한다. 이 문서에는 접근을 허용하는 외부 도메인이 명시되어 있고 플래시 무비는 해당 문서에 명시된 서버에서 접근시에만 데이터 로딩이 허용된다. 플래시 6 이전의 제작환경에서 만들어진 플래시 무비는 이러한 정책파일이 없었기 때문에 보안 경고창을 띄워 이러한 접근을 사용자의 허락하에 허용하고 있다. 보안 경고창은 플래시 6 이전의 제작환경에서 만들어진 플래시 무비가 정책파일 없는 서버에서 이전 크로스도메인 규칙에 따라 데이터 로딩을 시도한 경우에 나타난다. 따라서, 플래시 6 이전에 제작한 플래시 무비에서 크로스도메인으로 데이터를 불러오는 경우, 새롭게 정책파일을 만든다면 이러한 경고창이 나타나지 않도록 할 수 있다. 만약 플래시 7 제작환경에서 만들어진 플래시 무비가 정책 파일이 허용하지 않는 접근을 시도한다면 경고창을 보여주지 않고 접근을 무시한다. 따라서 플래시 7에서 크로스도메인을 시도한다면 반드시 정책파일을 설정해 주어야 한다. 크로스도메인 정책 파일은 항상 crossdomain.xml 이름을 가져야 하며, 서버의 HTML 루트에 위치하여야 한다. 정책 파일은 간단한 XML 형식을 취하고 있으며 신택스는 다음과 같다. 2. <cross-domain-policy> : 크로스도메인 정책에 대한 내용이 들어가는 태그로 항상 하나의 태그가 존재하며 하위에 <allow-access-from> 태그를 가질 수 있다. (경우에 따라 이 태그가 없어도 무방하다.) <allow-access-from> 태그는 접근을 허용한 외부 도메인 네임을 domain 이라는 속성에 명시한다. domain 속성의 값으로 명시할 수 있는 것은 다음과 같다. – 도메인 네임 : www.mysite.com 와 같은 특정 도메인 네임. – IP 주소 : 65.57.83.12 와 같은 특정 IP 주소. http://65.57.83.12/test.swf 와 같이 해당 IP 주소가 정확히 명시된 플래시 무비에만 접근을 허용한다. 해당 IP를 가리키는 도메인 네임이라 할지라도 도메인 네임이 정책파일에 명시되어 있지 않다면 접근을 허용하지는 않는다. – 와일드카드 문자를 이용한 도메인 네임 : 가장 앞자리의 도메인 토큰 대신 와일드카드 문자(*)를 사용할 수 있다. 가장 앞자리를 제외한 토큰은 정확히 명시되어야 한다. *.mysite.com 과 같이 사용가능하며, 이 경우 www.mysite.com, store.mysite.com, longer.subdomain.mysite.com(토큰4개) 등을 모두 포함되며 가장 앞자리 토큰이 생략된 mysite.com 도 포함한다. – 와일드카드 문자 : 모든 사이트에 대하여 접근을 허용하고 싶은 경우 사용한다. 만약 <cross-domain-policy> 태그가 <allow-access-from> 태그를 하나도 포함하지 않는다면 모든 도메인에 대하여 접근을 막는 정책이 된다. 모든 <allow-access-from> 태그는 domain 속성외에 secure라는 속성을 true/false 라는 값으로 가질 수 있는데, 이 속성은 HTTPS(HTTP 보안 프로토콜) 서버에서 HTTPS 서버가 아닌 다른 프로토콜 서버의 플래시 무비에 대한 데이터 접근을 허용할 것인가에 대한 속성이다. 만약 이 속성이 true로 되어있다면 HTTPS 서버끼리만 허용을 할 것이고, false로 되어있다면 다른 프로토콜 서버에서의 접근도 허용하게 된다. 이는 HTTPS 서버의 정책 파일에만 해당되는 내용이다. 생략할 경우 기본적으로 true의 값을 갖는다. 한번 정책 파일을 생성하면 대부분의 액션스크립트를 통해 쉽게 도메인 간의 데이터 로딩을 사용할 수 있지만, 몇가지 예외는 있다. 일단, XMLSocket.connect 액션의 경우는 조금 다르다. 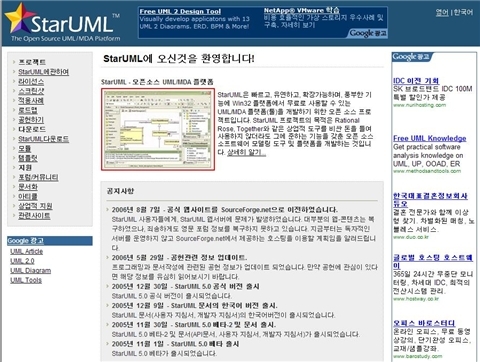 XMLSocket으로 다른 도메인 네임의 서버에 소켓을 연결하는 경우에도 마찬가지로 접속하고자 하는 서버에서 정책파일을 요청하지만, 보통 소켓서버에서는 80 포트를 이용한 HTML 웹서버는 사용하지 않기 때문에 정책파일 문서를 제공할 수 없다. 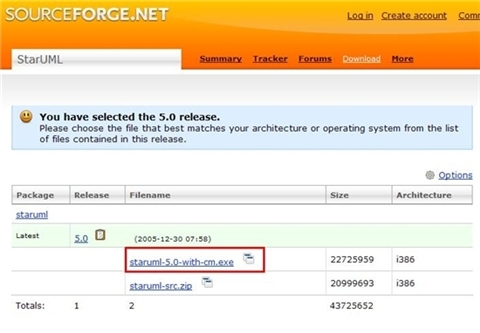 따라서 XMLSocket을 이용하여 다른 도메인 네임을 가진 서버에 접속을 하려면 소켓 서버 쪽에 80 포트에서 별도의 웹 서버를 가동하여 crossdomain.xml 파일을 제공해 주어야 한다. 80 포트에 crossdomain.xml에 대한 요청만 처리해 주는 서버를 제공하는 방법도 가능할 것이다. 한가지 더 유의할 점은 데이터 요청을 받은 서버가 다른 도메인 네임의 서버로 리다이렉팅 할 경우 현재 서버의 정책파일을 무시하고 새로 리다이렉팅 된 서버의 정책파일을 따른다는 것이다. 따라서, 다른 도메인의 서버로 리다이렉팅 시키는 경우 경유하는 서버와 목적지 서버에 정책파일이 모두 존재해야 된다. 그리고 크로스도메인 정책파일이 생기므로써 나타난 문제점은 이 파일이 존재해야 모든 데이터 통신이 가능하다는 이유 때문에(플래시 리모팅 포함) 기존 인터넷상의 수많은 웹서비스들을 사용할 수 없다는 것이다. 플래시 MX에서 플래시 리모팅의 강력한 기능을 역설하였던 것을 상기하면 이러한 문제점은 아쉬울수밖에 없다. 그러나 웹서비스의 기능에 제한이 생기는 문제점과 정책파일 생성의 번거로움을 감안하고라도 크로스도메인 정책파일을 통한 확장된 외부 도메인의 데이터 로딩으로 인하여 플래시 7에서는 좀 더 융통성있고 편리한 서버간 데이터 통신 환경이 지원되었다고 생각한다. loadPolicyFile()는 서버의 루트가 아닌 특정 폴더에서 크로스도메인 정책 파일을 불러올 수 있다. 7.0.14.0 이전 버전은 1024번 이상의 포트만 사용할 수 있다. 항상 XMLSocket 서버의 80포트에 웹서버 열어두어야 하는 문제가 있다. 그러나 7.0.19.0 이후 버전에서는 이런 문제가 해결되었다. loadPolicyFile()에서 특정 포트에서 정책 파일을 불러올 수 있게 되었다. 그러므로 항상 80포트를 열어두어야 하는 문제가 없어진다. 이것때문에 한참 헤맸습니다. 도메인 정책을 2004에서는 공식적인 방법으로 지원하고있다는것을 찾아보고나서야 알게되었습니다. 한동안 손떼고 있다가 열심히 다시 해서 밥이라도 먹고살려나 싶어 다시 손을 뎃는데 많은부분이 바뀌어있군요. The TransitionManager Class provides ActionScript developers with 10 ready-made transition effects that can be applied directly onto any MovieClips. The 10 available transitions can be used either as an ‘in’ or an ‘out’ transition and can also be further customized to suit the needs of the particular project in which the transitions are used in. This tutorial will teach you everything you need to know about using the TransitionManager in ActionScript 3.0. Check the example below to see the ten transitions in action. Basic Usage of the TransitionManager Class. The Common Parameters for The 10 Transitions. Events of the TransitionManager Class. The 10 Transitions Explained in Detail. The TransitionManager Class is used to apply ready-made transition effects to any MovieClip object. These transitions are Blinds, Fade, Fly, Iris, Photo, PixelDissolve, Rotate, Squeeze, Wipe, and Zoom. Transitions are different from Tweens because tweens manipulate single properties while a transition manipulate an entire object. The TransitionManager is used in circumstances where you wish to, for example, dissolve an image into another as a transition effect between two sections in your Flash website. It is not the only way for creating such effects, but probably one of the quickest methods for doing so. Each transition type has a varying level of customization that allows you tailor the transition effect to the specific needs of your project. We are going to start off by creating a simple example in Flash to show the TransitionManager Class in action. We need to create a Flash movie with at least one MovieClip object on stage to use the TransitionManager on it. Open up Flash and create a new Flash movie in ActionScript 3.0 format. Insert an image onto stage, then select it, press F8 to convert it to a symbol, select Movie clip as the symbol Type. The Name of the symbol does not matter so you can put anything you want there. In order to easily refer to our object using ActionScript we need to assign an Instance Name to our object. To do this, simply select the MovieClip on stage, then access the Properties Inspector and set the Instance Name in specified field. Use my_mc as the instance name for our MovieClip. It is possible to refer to any object placed on Stage by using the .getChildAt() method, but that will require guessing the position of the object on the Display List. Using Instance Names is the easiest method for referring to manually created objects on stage. We can now start coding, right-click the only frame you have on the timeline and select Actions. This will open up the Action Panel on which all of our code will reside. Using the TransitionManager Class requires importing its class into our current movie. The TransitionManager makes use of the easing classes to specify the flow of the transition so it must also be imported. We can import all the required classes at the start of our code by using the import directive. Where my_mc is the name of the target movie clip and the parameters between the curly brackets are the transition parameters. You can test the movie now (Ctrl+Enter) to see the effect. You can at this moment try all the possible transitions by replacing the word Fly with any of the following: Blinds, Fade, Iris, Photo, PixelDissolve, Rotate, Squeeze, Wipe, or Zoom. This method might look longer, but it allows us to listen to transition completion events – we will discuss this later in this page. The next section will show you the different ways in which you customize any of transitions. It is possible to pass a number of optional parameters to each transition to customize it when executing the transition. However, all of these transitions are optional and a transition can still be made without specifying anything other than the type of the transition. However, you would usually like to customize the transition to a certain extent to make it fit your project. All the transitions share a number of common parameters that can be used with any of them. Some transitions also have unique parameters that can only be applied to them. We are going to discuss the common parameters which are shared by all the transitions. The unique parameters for each of transitions will be discussed in the second page of this tutorial. The three common shared parameters are Direction, Duration, and Easing. It is important to note that all of these parameters are optional, you are not required to specify them in any order, and you may use as many of them as you choose or use none at all. The Direction parameter specifies whether this is an intro or an outro transition. An intro transition is one which is used to introduce the movie clip to the scene, while an outro transition is one that removes an object from the scene. The Easing parameter determines the flow of the speed of the transition animation. It is pretty hard to explain in words, but is easy to understand once you see it. There are five easing Classes that can be used to determine how the animation flows. None – No easing is used, the animation flows at constant regular speed. Regular – Normal easing means that the animation will gradually increase or decrease in speed depending on the way it is used. Strong – A more emphasized gradual increase or decrease in the animation speed. Back – The animation will exceed the final or initial target and then go back (almost like a bounce effect). Elastic – A mixture of strong and back easing together. It is pretty hard to understand how easing works without looking at a visual example. Note that the difference between Regular and None easing can be too subtle to notice. Say you wanted to open a link or move to another section in your movie once a transition completes, to do this you will have to use an event listener to trigger a listener function. The TransitionManager Class has two events (1) allTransitionsOutDone and (2) allTransitionsInDone – both of which are not documented by Adobe at the time I am writing this tutorial. The allTransitionsOutDone event is triggered when a transition with a direction parameter set to Transition.OUT finishes, while the allTransitionsInDone event is triggered when a transition with a direction parameter set to Transition.IN finishes. “MovieClip()” was used on the reference to the target movie clip to ‘type-cast’ the MovieClip type of that object. This lets Flash know for sure that this object is a movie clip as required by the authoring tool if it is used in strict mode. 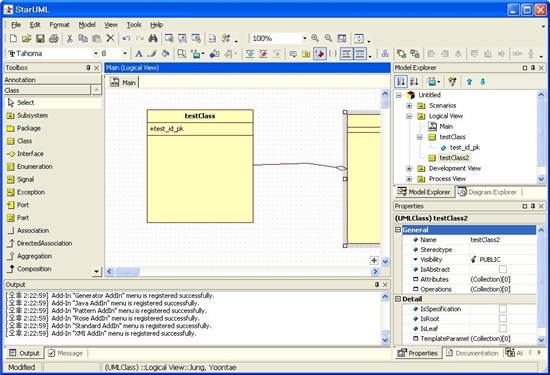 Using the technique above makes it possible to reuse the listener function for various objects and lets us use the listener without necessarily knowing the name of the target object. The first page of this tutorial taught you the basic usage of the TransitionManager Class and how to use the common parameters for all the transition types. This page will show you the ten different transition types and the special parameters available for each of these transition types and which can be used to further customize each of these effect. It is worth noting that all of these transitions share the common parameters explained in page one, namely: Direction, Duration, and Easing. Refer to page 1 to learn how to use these attributes. numStrips: accepts any positive number. dimensions: accepts 0 or 1. 0 uses horizontal strips while 1 uses vertical strips. The Fade transition simply fades in or fades out a movie clip. It has no parameters other than the commonly shared parameters. The Fly transition moves a movie clip in to or out of stage. It has one additional parameter to specify the position from which the movie clip flies from or to. The Iris transition uses an animated circle or square mask to reveal or hide a movie clip. In addition to the commonly shared parameters it has two additional parameters for specifying the direction from which the mask shows up and whether to use a circle or square as the shape of the mask. startPoint: accepts any number between 1 to 9 to specify the position from which the mask starts growing or shrinking. The Photo transition uses a camera flash-like effect to fade in or fade out movie clips. It has no parameters other than the commonly shared parameters. The Pixel Dissolve transition uses randomly appearing rectangles to show or hide a movie clip. In addition to the commonly shared parameters it has two additional parameters for specifying the number of vertical and horizontal rectangles at which the shape will be divided. xSections: accepts any positive number, determines the number of horizontal divisions. ySection: accepts any positive number, determines the number of vertical divisions. The Rotate transition simply rotates an object. It can be customized by setting the rotation direction and the amount of rotation. ccw: this parameters specifies whether to rotate clockwise or counter-clockwise, set this as true to rotate counter-clockwise or set it as false to rotate clockwise. degrees: Specify the number of degrees to rotate to, you can use any number. The squeeze transition squeezes (scales down) or expands (scales up) an object horizontally or vertically. It has one additional parameter to specify whether to have a horizontal or vertical squeeze. dimensions: accepts 0 or 1. 0 squeezes the object horizontally while 1 squeezes the object vertically. The wipe transition uses a mask to show a movie clip or wipe it out. It has one additional parameter to specify the position from which the animation ends or starts. startPoint: accepts any number between 1 to 9. If used as an ‘IN’ transition, this specifies the position at which the animation ends, if uses as an ‘OUT’ transition, this specifies the starting point of the wipe effect. The Zoom transition simply scales up or down a movie clip. It has no parameters other than the commonly shared parameters. It is possible to use a combination of transitions at the same time on a single object. This does not work with all transitions, especially ones that involve using a mask, such as Iris, PixelDissolve, and Wipe because they are not compatible with each other, however, they will still work in combination with any other transitions. This concludes our tutorial. I hope that you’ve learnt something new about the TransitionManager Class and its various transitions types. If you have any questions or comments please post them all at the Oman3D Forum. 패킷분석프로그램이란, 간단히 말하여 다운로드 주소를 따오는 프로그램입니다. (깊숙히 들어가면 매우 전문적인 영역이므로 설명을 제하겠습니다.) 그런 패킷분석프로그램 중 가장 작고 가볍다는 평을 받는 것이 이 smart sniff입니다. 사용법은 옵션 – 캡처옵션에서 자신의 네트워크어댑터만 바로 설정후 캡쳐버튼(▶)을 누르면 컴퓨터로 다운되고 있는 정보(패킷)의 주소를 얻을수 있습니다. – 강력한 패킷 스니퍼링 도구이다. – winPcap 캡쳐 드라이버가 필수적이다. – 캡처 데이터를 export 해준다. – 아스키 127 로 출력 해준다. – 각종 필터링 기능을 제공한다. – 라이브 모드 기능을 제공한다. – 프로세스 정보 보기 기능을 제공한다. – 한국어 뿐만아니라 다국적 언어를 제공한다. Where “myWebsiteProject.fla” is your hypothetical .FLA file, considering you’re working with the Flash IDE. The way folders are structured matter for a class. For example, on Tweener’s complete class name is caurina.transitions.Tweener; that’s why the Tweener.as file (and all other class files) have to be on folder /caurina/transitions. The caurina name is meant to be something unique, neutral; from a technical standpoint, it doesn’t matter much, so it’s just part of Tweener’s package path. If (and only if) you’re using some unusual folder for your class files – something other than the project folder, for example – you have to make sure the correct class directory is listed on the document’s classpath – the list of folders Flash will look for when it tries to add a class to the project when compiling. On the Flash IDE, you can access the document’s classpath list by using the “File” > “Publish Settings” menu, then clicking on the “Settings…” button next to the Actionscript version combo box. On the window that opens, make sure the class directory you’ve chosen is listed. You can also change your global classpath settings on Flash preferences. On the surface, this works a bit like #include, but it’s more of a declaration that you’re gonna use the Class than anything. It doesn’t actually include the contents of the class file every time you do an import. Instead, it includes the used class files on the first frame of your movie (or whichever frame you have chosen to be the class frame). Also, remember that, if you’re writing your code on the timeline (as opposed to in a new class), you have to repeat the import line on every new frame or MovieClip scope you intend to call Tweener. caurina Tweener는 Papervision3D를 접하면서 알게 되었는데 플래시에서 지원하고 있는 Tween 클래스보다 다양한 기능과 그 사용법도 간단하다. static 메소드를 지원하여 Tweener.addTween() 형태로 사용하며 파라미터로 넘겨주는 것은 아래와 같다. 위와 같이 트윈을 적용한 인스턴스와 그 인스턴스에서 트윈할 프로퍼티의 적용값을 지정하며 _bezier 형태로 복수의 포인트 간 포인트 적용으로 동선을 임의로 제작할 수 있다. time은 적용 시간을 나타내며 초단위이다. transition은 에싱의 형태를 지정. 위와 같이 모션의 시작 시점에서 실행할 handler 메소드를 지정할 수 있으며 끝나는 시점과 update마다 실행 하는 handler 메소드도 지정 가능하다. handler 메소드의 종류는 아래와 같다. 이 밖에서 여러가지 핸들러 메소드를 지원하고 있다. DisplayObject의 프로퍼티가 아닌 Tweener 클래스 자체에서 내부적으로 가공하여 사용한 프로퍼티의 경우는 앞에 _를 붙여서 사용하고 있다. 그리고 Tweener 클래스에서는 첫 파라미터인 DisplayObject에 DisplayObject를 복수로 가지고 있는 Array를 등록할 경우 Array에 있는 모든 DisplayObject에 해당 트윈을 적용 할 수 있다. _bezier의 경우는 Papervision3D에서 주로 사용되었는데 이는 카메라의 위치나 각도를 변경할 때 효과적으로 사용되고 있다. 2D 형태에서도 복잡한 동선의 경우에 기존의 트윈 클래스의 모션이 매끄럽지 못하여 그 모션을 적용하기 위한 클래스를 따로 제작해서 사용해야 했지만 제공하고 있는 샘플을 통해서 쉽게 동선을 그리고 좌표를 축출할 수 있다. 그동안의 트윈 클래스에서 아쉬웠던 부분들을 속시원하게 채워주고 있는 듯 싶다. 우선 공유하려는 폰트를 라이브러리에 등록하고, 아래 그림과 같이 설정한 다음 SWF을 퍼블리시 합니다. First, register a font in the library, and set the linkage properties like the following image. Then, publish the SWF file. 이 SWF파일을 Loader 객체로 로드한 다음, 아래 코드를 사용하여 공유된 폰트를 등록, 사용할 수 있습니다. Load the SWF via Loader object, then you can retrieve the shared font from the loaded SWF. 그러나 여기서 한 가지 문제가 있습니다. 같은 도메인의 경우 상관이 없으나, 서로 다른 도메인에서는 SWF가 로드되었다 하더라도, ApplicationDomain.getDefinition() 메소드를 통해 폰트를 가져올 수 없습니다. 즉, www.mydomain.com의 SWF에서 font.mydomain.com의 SWF파일에 정의된 폰트를 사용할 수 없다는 것입니다. 이 문제를 해결하기 위해서는 LoaderContext.securityDomain 속성을 사용하여, 다른 도메인의 SWF 사이에서 자원에 대한 접근을 허용할 필요가 있습니다. 다음의 코드는 LoaderContext를 사용하여 다른 도메인 사이에 폰트를 공유할 수 있도록 구성한 것입니다. But there is a problem. If the two SWF files is on the same domain, no problem. If the SWFs are seperated in different domains, you can not access to the shared font with ApplicationDomain.getDefinition() method, though the SWF file is loaded in. So, an SWF file on www.mydomain.com can not use a font in an SWF on font.mydomain.com. You can use LoaderContext property, to allow access to assets in a different domain’s SWF file. The following code shows how it works. * Font load complete listener.